A modern take on the classic rhyme Row, Row, Row Your Boat with three brave adventurers setting off on an epic journey. From the tallest penguin to the world's deadliest octopus, you might encounter a friendly narwhal or even a nest of sea snakes. But don't forget to look out for the crocodiles! 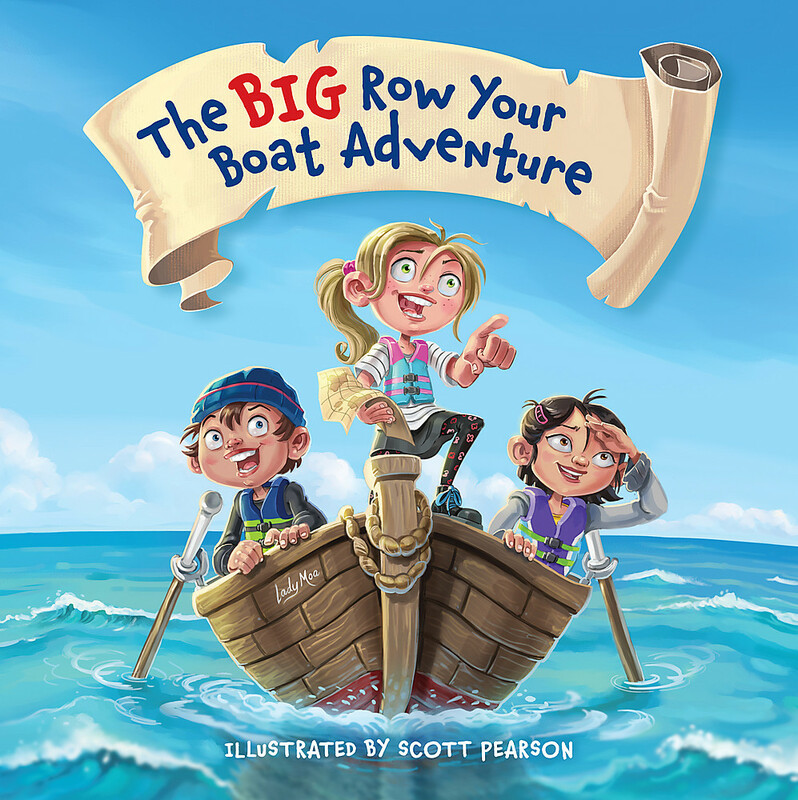 With vibrant illustrations by Scott Pearson, The Big Row Your Boat Adventure is a fun read-along picture book, which teaches children about geography and the many wild and wonderful animals that inhabit our world. Scott Pearson graduated with a Bachelor of Media Arts and has won a LIANZA Te Kura Pounamu award in 2015. He has spent his career collaborating with a number of clients both local and international, producing work for graphic novels, children's books, school journals, animation and more. After being exposed to Tintin and Asterix books as a young child, Scott was inspired to be an illustrator himself. He lives in Hamilton, New Zealand with his wife, four daughters and a busy at-home illustration & design business.